Learn to machine quilt, using your home sewing machine. Students will learn to quilt loops and curves, straight lines, free motion designs and a feathered wreath. Learn to stipple plus much, much more. Learn to pin your quilt and prepare it for quilting. 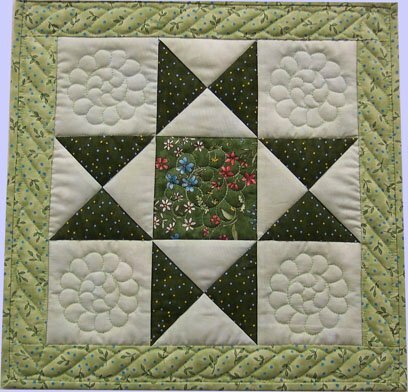 Many tips are shared in this valuable introduction to machine quilting class.